1/23/97--CRACK RAID--CAPPY PHOTO CAPT. OF THE STREET CRIME UNIT AND MEMBER OF THE QUICK ENTRY TEAM NF POLICE CAPT. 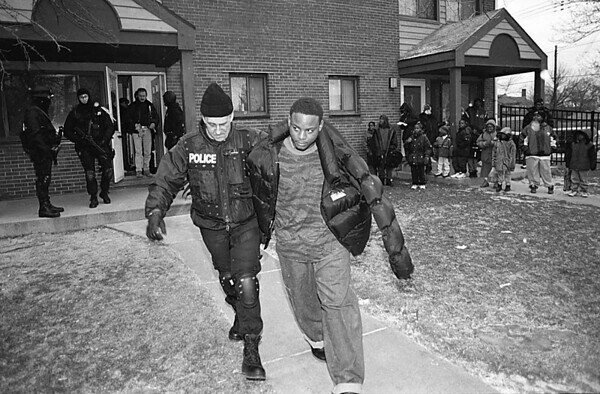 WILLIAM WENDT LEADS A SUSPECT OUT OF THE JORDAN GARDENS AFTER A RAID TURNED UP AN ONCE OF SUSPECTED CRACK COCAINE.